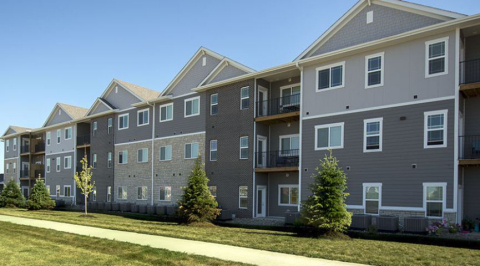 NEW YORK--(BUSINESS WIRE)--Besyata Investment Group and The Scharf Group, NY-based single family offices, have acquired Autumn Ridge Apartments in Waukee, IA for $58M. The purchase will be completed in two Phases for a total of 434 Units. BH Management, Besyata’s long-standing partner and leading property manager of 70,000+ apartments across 23 states, will handle the day-to-day property management and leasing. Autumn Ridge, a 434 class “A”, new construction luxury apartment community located in vibrant Waukee (suburban Des Moines), Iowa. The community is located within Dallas County, the 5th fastest growing county in the US. The community offers quick access to the top employers of Des Moines/West Des Moines including Wells Fargo, Mercy Medical Center, Principal Financial Group and Athene USA Corporation, as well as limitless shopping, dining and entertainment destinations, most notably, it is within ten minutes of the Jordan Creek Town Center, the 4th largest shopping complex in the Midwest.